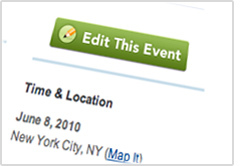 In the need to update your event or series details? Decide to create a series for events that you’ve already loaded into SpeakerRate? Now the creator of each event and series has the ability to edit and update their already added details. Happy editing!